Our homepage is the backbone of your visit to our site. You are immediately in our General Store which hosts all our products. However another possibility is offered to you: select a specialized store according to your main interests. The Wedding Shop: to achieve, wedding and bridesmaids dresses, cortege clothes, for decoration and guest reception. The Traditional or historical costumes shop: to achieve these particular clothes for exceptional circumstances. 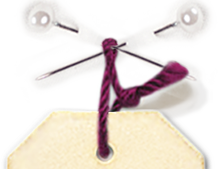 The Lingerie shop: to manufacture, repair your lingerie. At any time, then, you will know the shop you stand with the same logo sticker still present to top of page under the menus. The General Store is represented by a node in a measuring tape. At any time the selector dropdown on each page (and also below), allows you to switch the shop or go back to the home. Note that this switch also allows you to change the language and display prices for your convenience in excluding or incuding taxes. This last possibility is particularly interesting for professionals, our friends from departments or overseas territories or abroad. Note that this display can be saved in the preferences of your personal account. Category structure look like the roots of a tree whose trunk would be on the top menu and rootlets would contain products. This allows you to browse our catalog by its classification logic. In our shop, if you select a "mother" category, all products of the "daughters" category appear. Selecting a "daughter" category simply allows you to narrow down your choices and see fewer products. At any time, you can ascend to a higher category from the roots through small text links at the top and bottom of page. In each page, you can also sort and display more or fewer products. You can leave the default grid products display, allowing a maximum view of products per page or the list display that gives you more information per product. The other more sophisticated lies at the bottom of page under the heading "Advanced Search"
It allows you to cutting-edge research-based selectors. Attention this research is done in the shop being. Do not hesitate to contact us for a product not found we'll try to get it. Our shop has a powerful filtering tool so you can easily find the product you need. This tool is on the upper left as a form of a large label (whose title is "Shopping options") when you started to navigate thru the products categories with the upper tabs. This label includes drop-down menus in which you can make choices. The child for whom you want to use a pattern is a size 5 years, you activate the menu "Pattern sizes" then you choose 5 years. the number of patterns in the grid is reduced to 32. The child you want to dress up is a girl, you press the menu "Clothing gender" then you choose Girl, the number of patterns in the grid is reduced to 27. The clothing you want to achieve is a dress, you press the menu "Clothing type" then you choose dress, the number of patterns in the grid displays only 11 patrons. 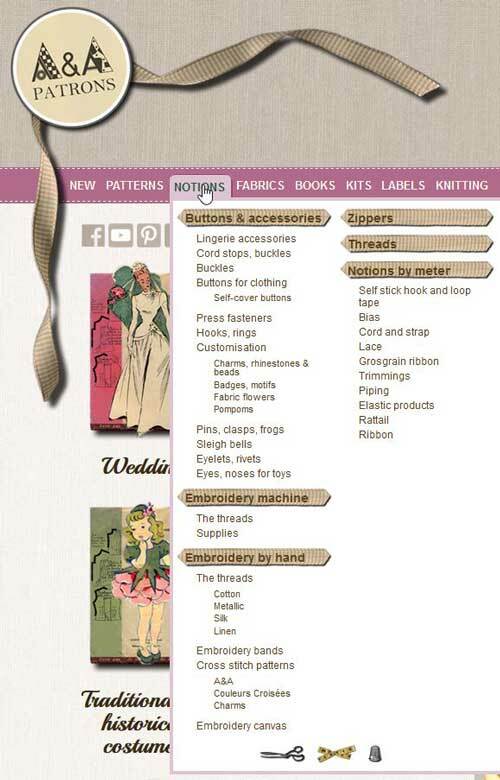 You are a beginner and you want to make something that is at your fingertips, you press the menu "Patterns difficulty", then you choose "Very easy sewing", you now have the choice between two patterns. It is much faster to do than write. Experiment this system which is very convenient to use. It works on the entire shop. At any time, browsing the shop, you can click on Add to wishlist. This action will offer you to log in, if you're not, then add this product to your personal wishlist. You can then use this list to add, from it certain products to your cart. This list is permanent, you will find it each time you log back., Simply click on "My wishlists" among the icons at the top of the page. This list can be managed, you can remove some of the registered products according to your needs. You can share it with whoever you want, just click on "Share wishlist." For individuals it is a reminder and a way to inform his friends what treasure was researched in our prolific shop. For professionals it is a true productivity tool that allows to go directly when you order often the same products. In this context, the professionals can share their list with a colleague for various reasons (access in case of absence request for approval etc ...). "My wishlists" is one more reason to register on our store! Caution: When you add products to your cart from this list, if a product requires a choice between options, you will be redirected to the product to make your choice. Your reviews are a key source of improving our services and our range of products. 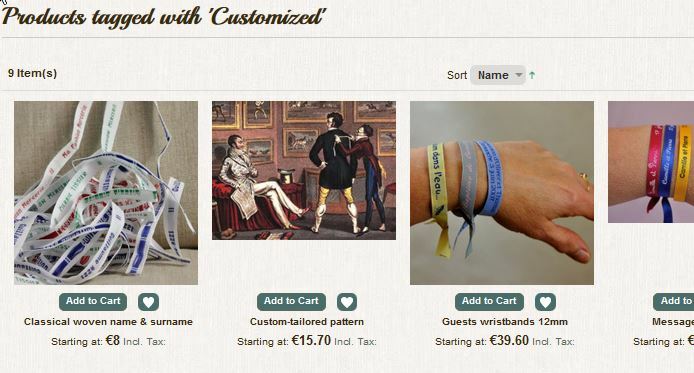 For each product you can propose your opinion consisting of a notation with stars and text comment. Rating rose 1 to 5 stars for each criteria: price, interest, quality. You must give a free nickname for review. Then you summarize this review on a line. Finally you make your full review. If you are not logged into your account on our site to make your reviw, the Recaptcha test in order to be sure you're not an automatic robot will be performed before your review will be recorded. Even if we accept the all reviews, we appreciate particularly reviews coming from our customers who actually ordered the product in question. Each customer receives an email from us to solicit his opinion a few days after order receipt. After submitting your review, and although it is accepted by our system, you can not read immediately it on the product concerned. In fact, we do a rereading of each of your opinion before allowing publication. This allows us to eliminate abusive review, obscene, advertising or completely off topic. Your review will be available a few hours after your validation. Of course, we gladly accept negative opinions about our products and services while allowing us to answer you clearly following them, if necessary. We wish to clarify that on our website all reviews are real and issued freely (except for special cases mentioned above) by our customers, whether negative or positive. Products that have received at least one review of our customers appear with more or fewer stars in our catalog. If you click it you can see the reviews for each product. You can use a keyword already used on the site at that time allocation to the product will be effective immediately. If you use a key word that was never used on our online store, it must be approved before actually being assigned to the product. Each keyword proposed by you and accepted will appear in "my keywords" in your account. By clicking on one of them, you will find all products with the same keyword. This is another way to find the products you want. Orders placed before 24 September 2012 are unfortunately not visible via this interface (however they are well managed, do not worry). for our professional customers as well. manage your subscription to the newsletter. 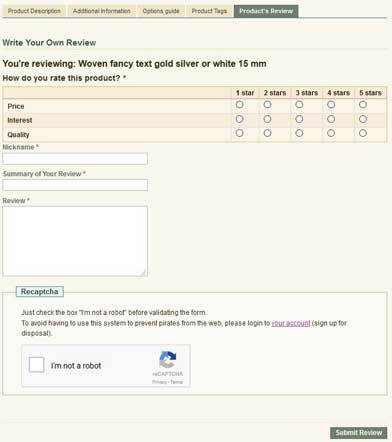 to rate and review products without ever having to type characters to prove that you're not a robot (" Captcha "), this is true for all forms of contact you use on our site. 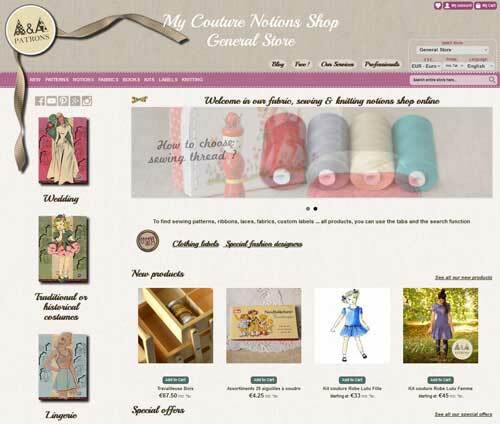 or on "My Mode Notions Shop"
and you will be immediately redirected to the home page of the site where you can again choose a shop. Click on the title of the current store, for example "General Store"
and you will be forwarded to the home page of the same shop.